The Triangle area in North Carolina features three cities- Durham, Raleigh, and Chapel Hill- with a plethora of incredibly luxurious properties from which to choose. Inside these cities, homebuyers will discover land where residents prosper and communities unite. Residents can spend time with loved ones while appreciating the undeniably beautiful surroundings in public spaces like Jordan Lake, Carolina North Forest, Southern Community Park, and many winding trails. Museums, galleries, theatres, and universities encourage residents to think, learn, and grow, and between the three cities, buyers can find luxury homes near hundreds of restaurants. 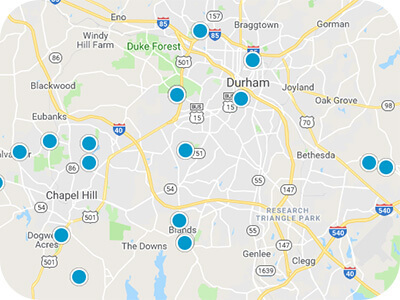 Triangle luxury homes for sale in North Carolina are discoverable in several neighborhoods including Treyburn, Hope Valley, and Governors Club. Luxury homes in the Triangle boast houses sitting on acres of land, behind secure gates, and cloaked in privacy. Buyers interested in buying one of the Triangle luxury houses can find amenities like elevators, ornate built-in shelves and structures, and masterfully-built walk-in closets. Three and four-car garages are available in the Triangle luxury properties as well as homes featuring lanais, resort-style fresh salt water swimming pools, and private sports courts. Luxury houses in the Triangle present buyers with floor plans of 7,000-13,000 square feet of spacious living. 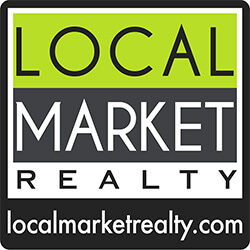 If you are interested in purchasing one of the spectacular luxury homes for sale in the Research Triangle of North Carolina, please contact us today.